Nancy Drew loves to share her tips for solving mysteries with the Detective Club, a group of her friends from River Heights. 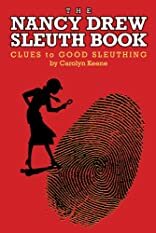 Get the scoop on Nancy's sleuthing secrets-like what your handwriting says about your personality, how to identify fingerprints, and even how to catch a ghost! Get a clue with Nancy Drew!